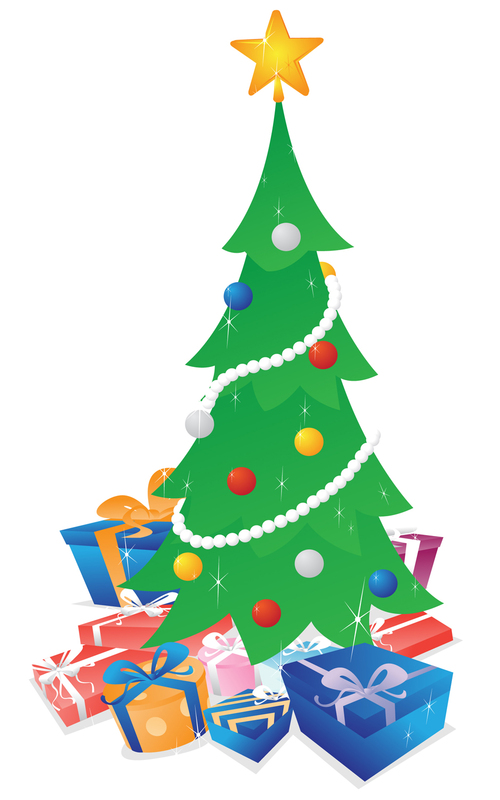 Christmas Tree with Presents — Vector illustration of a shimmering decorated Christmas tree with lots of colorful gifts under it. Ho, ho, ho, Merry Christmas! .:. My-Free-Vector-Art.com .:. Vector illustration of a shimmering decorated Christmas tree with lots of colorful gifts under it. Ho, ho, ho, Merry Christmas!